You’ve made an impact by serving your country, now it’s time to discover your next path. Join the growing movement of people just like you entering the construction industry. 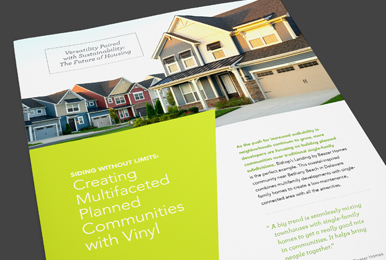 As a vinyl siding installer, you can get started ASAP, build beautiful communities for families across America, and work your way up towards owning your own business. Your possibilities are limitless. In construction, you need to work as a team to build together. Use the collaboration skills you’ve developed in service to make your jobs more efficient and successful. Every day is a new challenge when you’re building homes. As you develop new skills, you’re helping you and your team succeed and gain more business. Maintain the structure you’re used to. When working on the job site, you’ll adhere to project deadlines, safety standards, and building codes. Utilize your advanced skills to come up with creative solutions to seemingly unsolvable problems. Pretty soon, you’ll be the go-to contractor to unravel tough challenges. Push your limits and gain new experience. Given your background and training, you can easily walk on a job and learn new skills directly from the pros. With enough experience, you can start managing a crew and build your own business. Hard work and dedication can lead to limitless possibilities in construction. Start building your construction business today! Source: Small Business Administration (SBA), 2017 Fiscal Report. Since vinyl siding is lightweight, easy to cut, and requires no advanced training, it's easy to get started as an installer. You can get additional training or start applying for jobs right now. The choice is yours. Associate degrees in the trades combine hands-on and classroom instruction in your field with general education courses, designed to make you as employable as possible.